(HealthDay)—Lawnmowers pose a serious risk of injury to children, according to the American Academy of Pediatrics (AAP), which offers tips to keep children and adolescents safe this summer. According to the AAP, it is best if children are not in the yard while the lawn is being mowed. Children younger than 16 years should not be allowed to use or be a passenger on ride-on mowers. 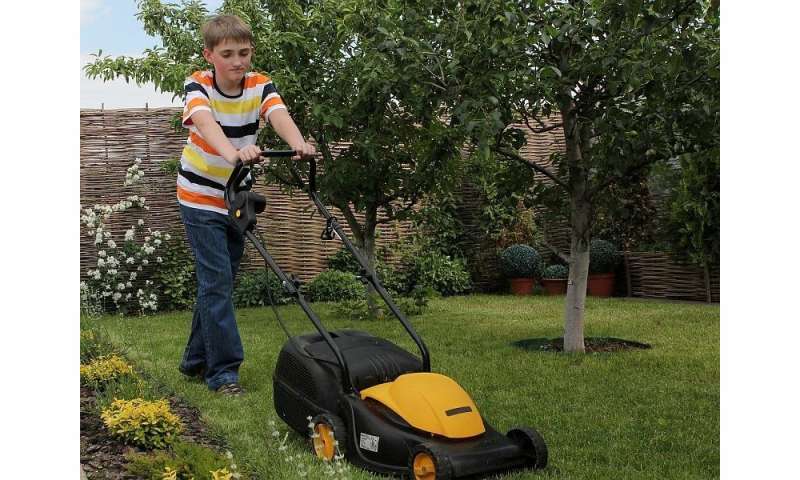 Children younger than 12 years should not use walk-behind mowers. Adults need to make sure guards, shields, switches, and safety devices are all properly working and only use a mower with a control that stops the mower blade from moving if the handle is let go. Personal safety equipment is important, too. Anyone who uses a mower should wear hearing and eye protection. Additionally, sturdy shoes should be worn while mowing—no bare feet, open-toed shoes, or flip flops. "Lawn mower injuries to children are often extremely traumatic and can include amputation, death, and emotional distress that can last a lifetime," the AAP warns.